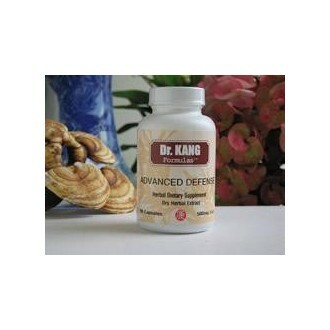 To be used as a supplement to a balanced diet during bouts of chronic fatigue from viral infections when you desire advanced immune defense to prevent viral infections and cancer tumors. From the Western scientific perspective chronic fatigue is sometimes associated with the Epstein-Barr virus which tends to produce "temperate" virus infections rather than "virulent" virus infections. While a virulent virus destroys the cell it inhabits and is in this way self-limiting, temperate viruses do not kill the host cell but rather continue to infect surrounding cells. The part of the immune system that works best on this type of disease is not the part the produces antibodies. There is a second branch of the immune system that produces T cytotoxic cells that specifically kill or lyse virally infected cells. This is precisely the same part of the immune system that attacks tumor cells in the case of cancer. A successful medication in this situation needs to stimulate the cytotoxic side of the immune system to successfully treat temperate viruses as well as cancer. The goal of this formula is to stimulate the immune system to act directly on virally infected cells to resist upper respiratory infection and also to provide strength and energy for individuals who suffer from chronic fatigue. 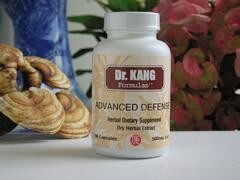 Thus, this formula simultaneously strengthens and energizes people in addition to providing resistance to infection. TCM Indications: Failure of superficial Qi to protect the body against disease marked by susceptibility to Wind pathogen, chronic fatigue, weakness, sore loin region and sore knees, vertigo, tinnitus, mental weariness, amnesia, pale complexion. Tongue: White, thin or light yellow fur. Pulse: Feeble and soft pulse or small bowstring. Acute care clinical research in China confirms that this formula has the ability to protect the Liver, promote Blood circulation, tranquilize the mind, strengthen Kidney function, relieve inflammation and regulate vegetative (autonomic) functions.